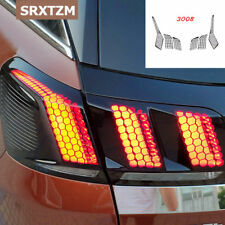 Fit For Peugeot 3008 GT / 5008 GT 2017 2018. Easy installe and No modification needed,3M adhesive tape is attached. We dispatch worldwide. Material:Made of ABS Plastic. Fit for Peugeot 3008 5008 Allure 2017 2018. Easy installation, 3M adhesive tape is attached. Fit For Peugeot 208 308 2008 3008 4008 5008. Easy installe and No modification needed,3M adhesive tape is attached. We dispatch worldwide. Fit For Peugeot 3008 5008 2017 2018. Made in an ISO 9001 facility to ensure good quality. Item Fitment: Fit For Peugeot 3008 GT 2017 2018/ 5008 GT 2017 2018 Item Description : Condition: 100% Brand new Material: Made of Plastic Include: 6pcs Made in an ISO 9001 facility to ensure good quality. Easy installation. Note: Pls kindly leave with a payment note to choose the item type, 3008 or 5008 ! ! !. VW PASSAT B8 ESTATE SALOON VARIANT 2014-2018. STAINLESS STEEL 2 PCS. Do not yet remove the protection foil of the double-sided tape on the back! Remove the protection foil of the double-sided tape on the back. For Audi A6 C7 2012 - 2017. 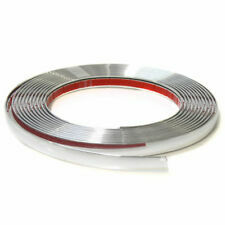 Material:Made of Quality Stainless Steel. Made in an ISO 9001 facility to ensure good quality. Self – Adhesive Backing. Universal Fits Most Car. Simple To Cut And Apply. Can be fitted to doors, boots, grills, bumpers, interior, etc. 2Pcs 2.5-3.0CM Bumper Tube Clamp Bar Roof Roll Mount Brackets Mounting Cage Holder Clip For Work Fog Light Universal. • 360 degree rotating to adjust the viewing angle freely, raise the light bar height to avoid scratches while driving. 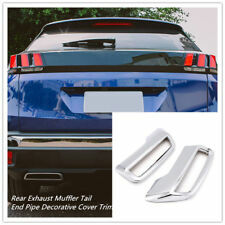 Material: resin Color: silver Width: 4mm Length: 3.2m-3.65m Adhesive tape on the back for easy fitting Great for decorating the interior or exterior of your car It is not harmful to the car paint 1 X Car Styling Strip Brand Unbranded MPN Does not apply UPC 4894462136119 EAN 4894462136119 EAN Does not apply ISBN 4894462136119 Designer/Brand Unbranded Manufacturer Part Number Does not apply. Vauxhall / Opel. Saloon / Hatchback. With high strength 3M tape adhesive - just peel off the backing and apply for a strong fit! THIS TRIM IS READY TO MOUNT WITHOUT ANY CUTTING ﻿. WILL STICK TO ALMOST ANY FLAT SURFACE. VW Passat B8 Saloon-Estate 2014 . Do not yet remove the protection foil of the double-sided tape on the back! Remove the protection foil of the double-sided tape on the back. Note before mounting: the double-sided tape adheres instantly – once mounted the part cannot be repositioned anymore! Seat LEON II 1P1. With high strength 3M tape adhesive - just peel off the backing and apply for a strong fit! THIS TRIM IS READY TO MOUNT WITHOUT ANY CUTTING ﻿. WILL STICK TO ALMOST ANY FLAT SURFACE. PEUGEOT 208. With high strength 3M tape adhesive - just peel off the backing and apply for a strong fit! THIS TRIM IS READY TO MOUNT WITHOUT ANY CUTTING ﻿. WILL STICK TO ALMOST ANY FLAT SURFACE. WILL FIT PERFECTLY TO YOUR CAR! Made of Quality ABS Plastic. Easy installe and No modification needed,3M adhesive tape is attached. Fit for VW Volkswagen Tiguan 2017 2018. Material:Made of ABS Plastic. Easy installe and No modification needed,3M adhesive tape is attached. Fit For Peugeot 3008 5008 GT 2017 2018. Material:Made of ABS Plastic. Easy installe and No modification needed,3M adhesive tape is attached. Car modelFor Toyota RAV4 2013 2014 2015. All our products are not suitable for the car, which is. Made in an ISO 9001 facility to ensure good quality. Easy installed and No modification needed,3M adhesive tape is attached. Material:Made of ABS Plastic. Fit for VW Volkswagen Tiguan 2017 2018. Easy installation and No modification needed,3M adhesive tape is attached. Material:Made of ABS Plastic. Fit For Peugeot 2008 2014 - 2017. Material:Made of ABS Plastic. Easy installation, 3M tape is attached. Fit for Suzuki SX4 S-Cross 2014 2015 2016 2017 2018. Material: Made of ABS Plastic. Easy installe and No modification needed,3M adhesive tape is attached. Colour: As the pictures show. Fit for Peugeot 3008 5008 GT 2017 2018. Include: 2pcs. Material: Made of ABS Plastic. Easy installation, 3M tape is attached. Ford MONDEO MK III. SILL COVERS TRIM SET (4 Pieces). WILL STICK TO ALMOST ANY FLAT SURFACE. THIS TRIM IS READY TO MOUNT WITHOUT ANY CUTTING ﻿. Top quality - 2 year manufacturer warranty! WILL FIT PERFECTLY TO YOUR CAR! Material:Made of Quality ABS Plastic. Fit For BMW 5 SERIES G30 2017 2018. Material:Made of ABS Plastic. Easy installed and No modification needed,3M adhesive tape is attached. Colour:As the pictures show. Made in an ISO 9001 facility to ensure good quality. We use the thickest layer of scratch-proof clear vinyl over laminate for an Armor Like layer of protection. These decal kits are made of thick, laminated, durable vinyl. Each piece of the decal kit is precisely cut to perfectly fit your vehicle. 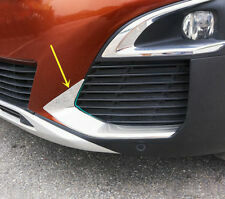 Installed in front and back of car bumper. 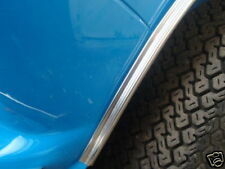 Protect the bumper angle to avoid scratching the car. 1 Pair x Car Anti Scratch Sticker. It handles special coatings to protect and decorate your car. Size: as shown. Fit For Peugeot 5008 GT 2017 2018. Easy installation. Fit for Jeep Wrangler JL 2018 2019 (Not fit for JK model). Easy installed and No modification needed,3M adhesive tape is attached. We dispatch worldwide. Material:Made of ABS Plastic. Car modelFor Mazda 6 Atenza 2013 2014 2015. Surface FinishStainless steel. MaterialStainless steel. All our products are not suitable for the car, which is. variant version. Include1 pcs/set. For Mitsubishi ASX Outlander Sport 2016. Made of Quality ABS plastic. Easy installe and No modification needed,3M adhesive tape is attached. 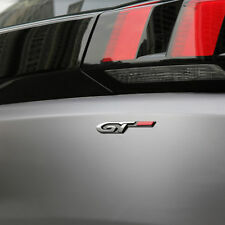 Fit For Peugeot 3008 5008 GT 2017 2018. Made in an ISO 9001 facility to ensure good quality. Easy installed and No modification needed, 3M adhesive tape is attached. Material:Made of ABS Plastic. Fit for Peugeot 3008 5008 2017 2018. VW PASSAT B6 3C2. SILL COVERS TRIM SET (4 Pieces). WILL STICK TO ALMOST ANY FLAT SURFACE. THIS TRIM IS READY TO MOUNT WITHOUT ANY CUTTING ﻿. Top quality - 2 year manufacturer warranty! WILL FIT PERFECTLY TO YOUR CAR! 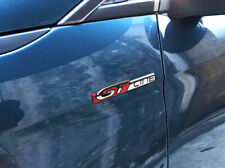 Fit For Peugeot 3008 GT 2016 2017 2018. Easy installation, 3M tape is attached. Material:Made of Stainless Steel. For VOLVO XC60 2009 2010 2011 2012 2013 2014 2015. Made of Quality ABS Plastic. Easy installe and No modification needed,3M adhesive tape is attached. Easy installed and No modification needed,3M adhesive tape is attached. For Nissan Qashqai J11 2014 2015 2016. Material: Made of Quality ABS Plastic. We dispatch worldwide. Material:Made of Quality ABS Plastic. Made in an ISO 9001 facility to ensure good quality. For VW Volkswagen Golf 7 MK7 2013 2014 2015 2016 2017 2018. Include: 2pcs. Material: Made of ABS Plastic. Made in an ISO 9001 facility to ensure good quality. Easy installation, 3M adhesive tape is attached. With high strength 3M tape adhesive - just peel off the backing and apply for a strong fit! THIS TRIM IS READY TO MOUNT WITHOUT ANY CUTTING ﻿. WILL STICK TO ALMOST ANY FLAT SURFACE. WILL FIT PERFECTLY TO YOUR CAR! Fit for Suzuki SX4 S-Cross 2014 2015 2016 2017 2018. Easy installation, 3M tape is at the back. Material: Made of Stainless Steel.